Battlefield 3 (BF3) is a first-person shooter video game developed by EA Digital Illusions CE and published by Electronic Arts. The game was released in North America on October 25, 2011 and in Europe on October 28, 2011. It does not support versions of Windows prior to Windows Vista as the game only supports DirectX 10 and 11. It is a direct sequel to 2005’s Battlefield 2, and the eleventh installment in the Battlefield franchise. The game sold 5 million copies in its first week of release and the PC download is exclusive to EA’s Origin platform, through which PC users also authenticate when connecting to the game. Battlefield 3 debuts the new Frostbite 2 engine. This updated Frostbite engine can realistically portray the destruction of buildings and scenery to a greater extent than previous versions. Unlike previous iterations, the new version can also support dense urban areas. Battlefield 3 uses a new type of character animation technology called ANT. 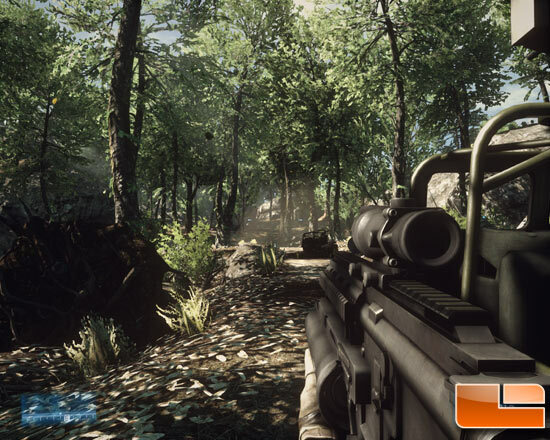 ANT technology is used in EA Sports games, such as FIFA, but for Battlefield 3 is adapted to create a more realistic soldier, with the ability to transition into cover and turn the head before the body. 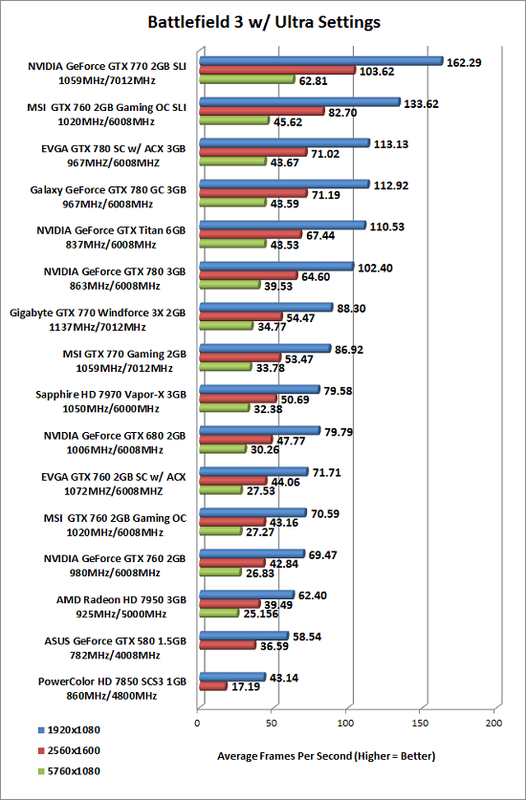 Benchmark Results: The EVGA GeForce GTX 760 2GB Superclocked video card was found to be 3% faster than the NVIDIA GeForce GTX 760 2GB reference card at 1920×1080 in Battlefield 3. It was about 10% slower than the NVIDIA GeForce GTX 680, which isn’t anything to shrug off as the MSRP of the card is roughly half!